Great show. Always a pleasure to see the Lizards perform live, with the added bonus staying in the comfort of our own house. Been a fan for about 30 years, tho I hadn't seem them in awhile. First time with current line-up, and just a good as years ago. Star thingy no work, but five. The Lizards are SOoooo freakin' great! This was an exceptional show. I hope they do regular webcasts. I have been a fan for years but have only seen them perform live one time. This was a real treat...and I didn't have to drive to Texas! McMurtry wrote those words in the late Sixties, but he could have been speaking for the Austin Lounge Lizards decades later. 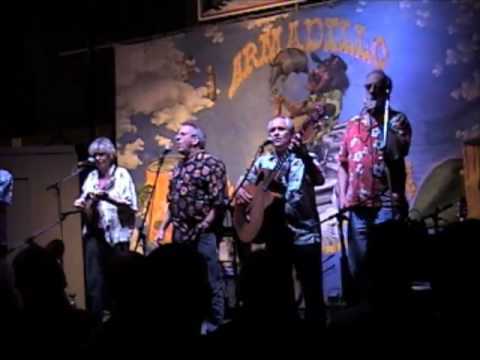 Based in Austin, Texas, the Lizards have delighted audiences from California to Canada to the United Kingdom with their original style of satirical folk, country and bluegrass. Trademarks of a Lizards song are highly literate, sharply pointed lyrics that poke fun at politics, love, religion and the culture in general. Combined with precise four-part vocal harmonies and instrumental mastery, the band’s songs are melodically infectious and inventive.